Posted in BevSpot, Product, Restaurant Management, Food Industry . When we launched BevSpot in 2014, we made it our mission to empower the global food and beverage industry with technology. From pushing software updates on-site at local Boston bars, to having thousands of customers worldwide using our beverage management software, I’m extremely proud of how far our team has come. Today, we’re taking the next step toward fulfilling our mission. 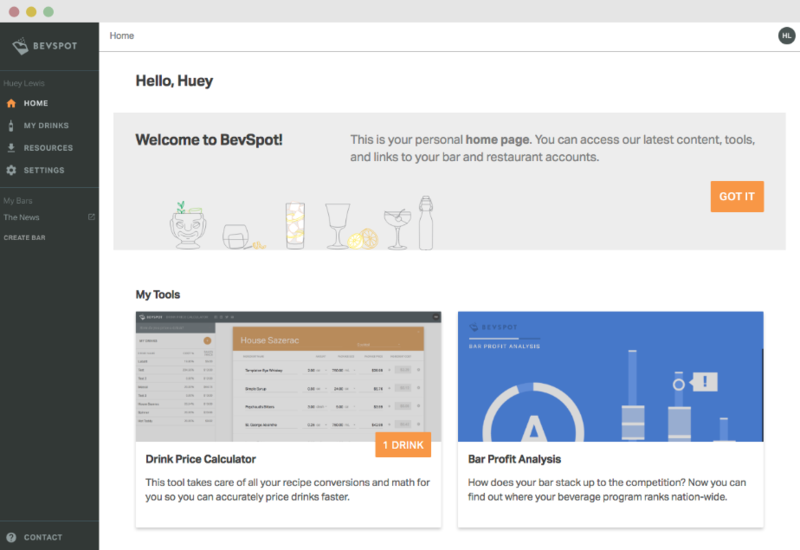 We are excited to introduce BevSpot Food. This new solution helps bars, restaurants, hotels, and groups take control of their inventory, purchasing, and sales performance for their kitchens. More importantly, with this addition to our product suite, BevSpot can now provide the industry with an all-in-one food and beverage management software. Working closely with our customers, I’ve seen first-hand how time-consuming and tedious managing a food operation can be. Food programs are simply far more nuanced than beverage, yet they represent over 70% of revenue for many restaurants. Our customers needed a solution that would save them time, increase efficiency, and boost profitability. Over the last few quarters, we’ve gone back to our roots. We sat with our customers in their kitchens, listening to their challenges, and recording their feedback. During our beta testing phase for BevSpot Food, we iterated on the product on a daily basis. It was common to see our product team meeting with customers in our office, listening as they walked us through what they liked about the software, what wasn’t working, and what they really needed. We wanted to build a food management software that could handle every aspect of a food operation—from purchasing and vendor management, to tracking flexible units for inventory and usage. We wanted to get it right. As we start this new chapter at BevSpot, we know that the work has just begun. We’re focused on continuing to improve BevSpot Beverage and further innovate on BevSpot Food. I know I speak for the entire team when I say we’re extremely excited to see where our mission takes us, and where it takes our customers.